Greenhouse vents and greenhouse shade are essential for the warmer months to maintain the optimum temperature in the greenhouse and to prevent scorching. When temperatures are on the rise, an auto vent, louvre vent, greenhouse heater with a fan setting or shade netting will prevent harmful strong summer rays from scorching seedlings by allowing necessary greenhouse ventilation when required. 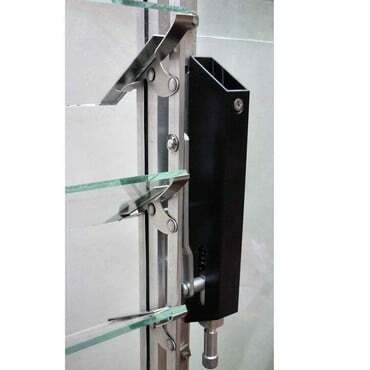 The 3 simple overheating prevention steps are ventilation, circulation and shading. • Auto vents react to changes in greenhouse temperature and open and close vents with the help of a gel filled cylinder - a great option for holidays or days away from home. 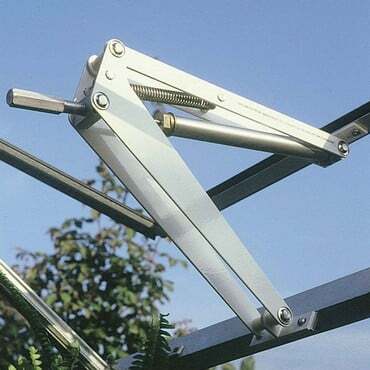 They are suitable vents for both wooden or aluminium greenhouse windows and frames. • Louvre vent kits replace an existing pane of greenhouse glass and the blades direct cool air up into the greenhouse allowing warm air to escape through roof vents. Increased airflow will help keep humidity levels down and avoid the conditions that certain fungal diseases - such as botrytis - enjoy, and the adjustable cooling effect of the louvre window in the summer will be welcomed by plants and gardeners alike. 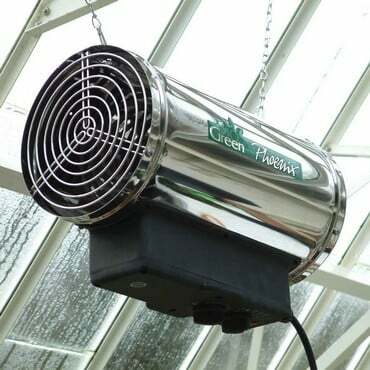 • A good quality heater will serve your greenhouse all year round, heating in winter and cooling in summer with a fan setting, if you have a power supply to the greenhouse. • Greenhouse shade netting provides impressive 50% shade-giving capabilities to protect greenhouse seedlings and plants from the scorching rays of the mid summer sun. This green, high density netting is made from strong, UV stabilised, monofilament polyethylene is available in 1, 2 and 3 metre widths.